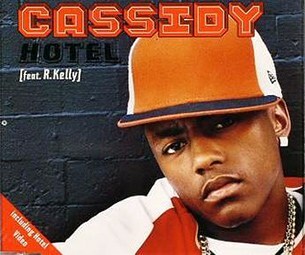 Hotel is an R&B hip hop song recorded by American recording artist Cassidy, from his 2004 debut studio album Split Personality. 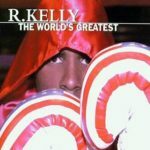 It features American singer-songwriter R. Kelly. The Swizz Beatz-produced song was released on September 23, 2003 as Cassidy’s debut single and the album’s lead single. 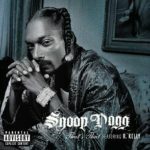 It was a hit internationally, reaching Number 4 on the US Billboard Hot 100, Number 2 on the Hot Rap Songs and Number 6 on the Hot R&B/Hip-Hop Songs. 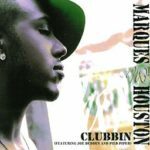 In the UK, it peaked at Number 3 on the Singles chart while reaching Number 11 in Denmark.